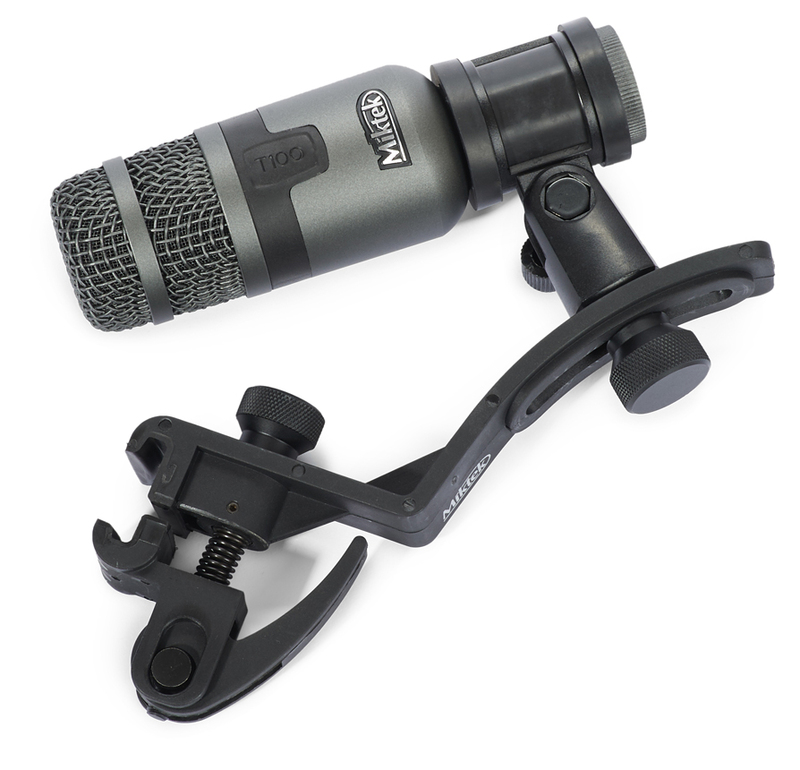 Experience Miktek T Series Drum Microphones. You put a lot of time and money into selecting shells, hardware, cymbals and tuning your kit just right. 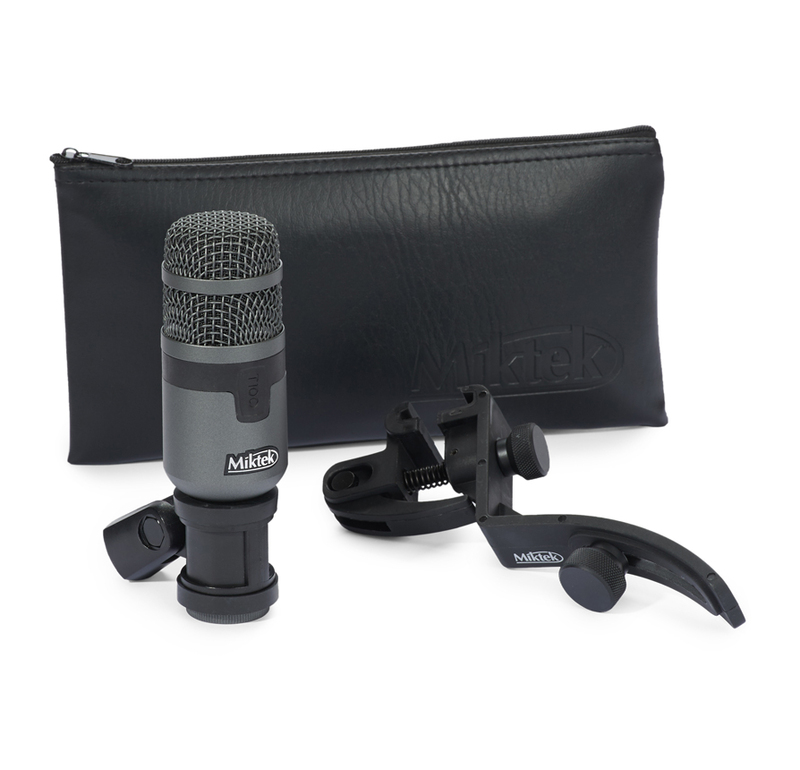 The hard work and sweat you put into every rehearsal enables you to give a better than average performance, so you demand better than average microphones to reproduce the sound of your drum set. 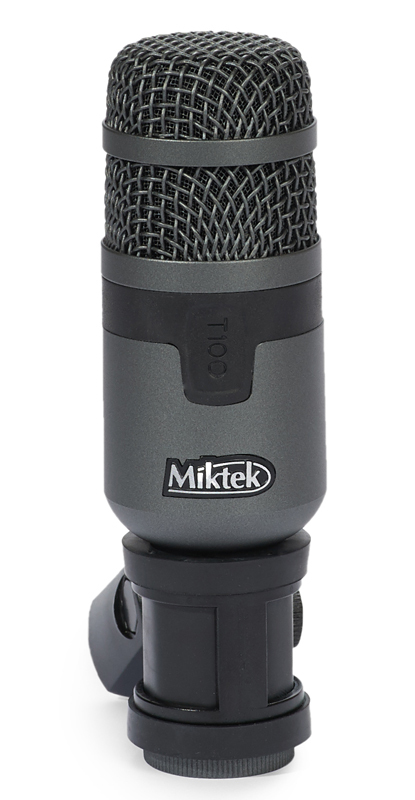 Miktek T Series drum microphones offer way above average sound and build quality that will impress the most discriminating engineers and drummers alike. Featuring a cutting edge capsule design that is perfectly matched to Miktek’s proprietary output transformers; the T Series Microphones produce a modern, yet truly classic sound you not only hear, but you feel, too. 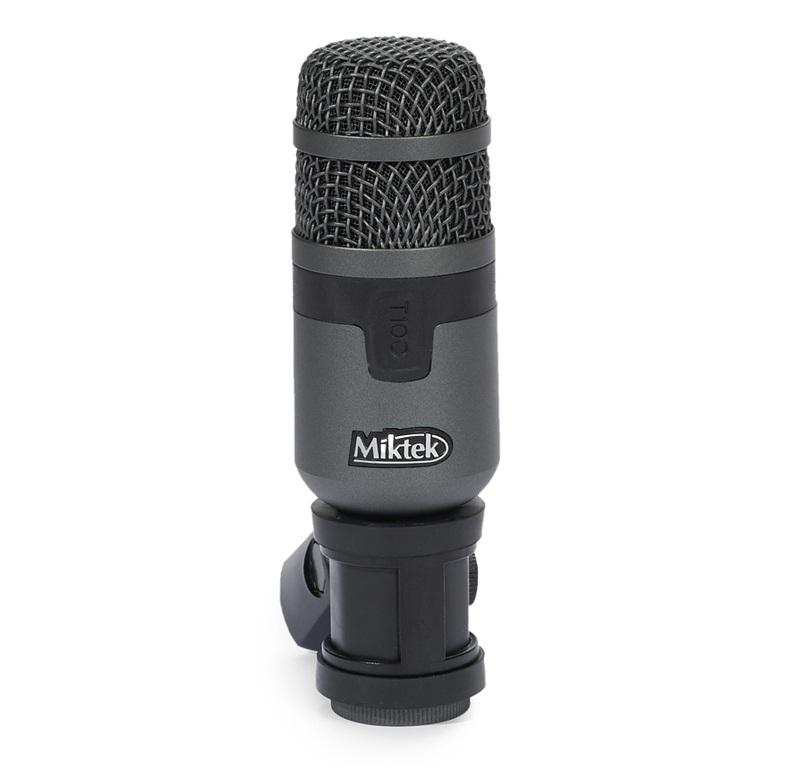 The Miktek T100 super cardioid, dynamic microphone features a custom designed, neodymium capsule element offering extremely clear and articulate sound reproduction. The T100’s frequency response is full and robust and has been contoured to snare and tom-toms. Plus, the capsule’s unique labyrinth design provides ultimate rear rejection and maximum gain before feedback, so your snare and toms cut though the PA. 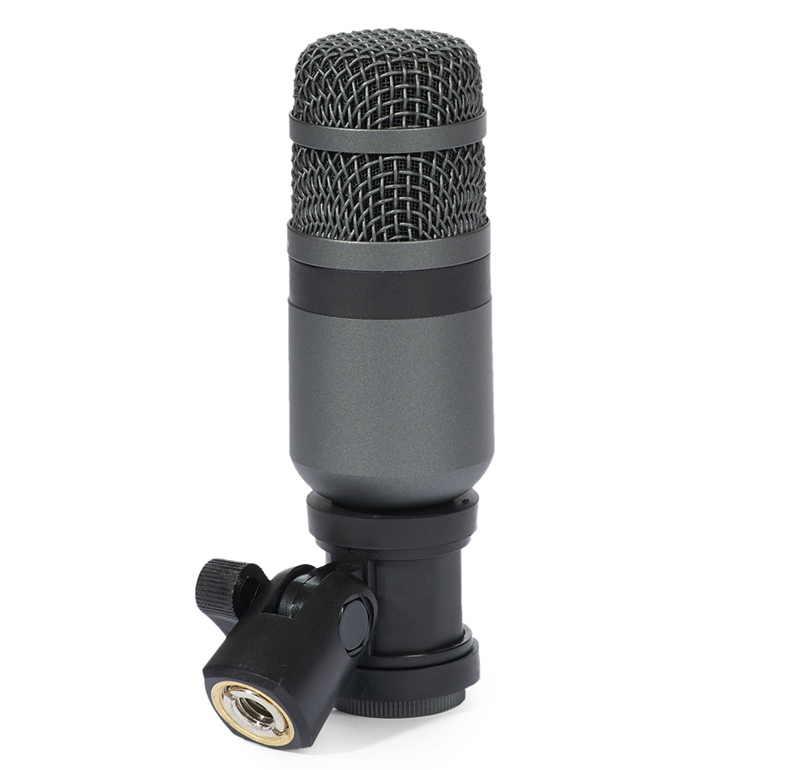 The T100 is an excellent choice for conga, timbale, hand-drums and other percussion as well. With high SPL capabilities, the T100 can easily accommodate the loudest drummers and can even be used to mic up loud guitar amps and brass instruments. The PM10’s steel grill and die cast body ensure durability and reliability night after night. 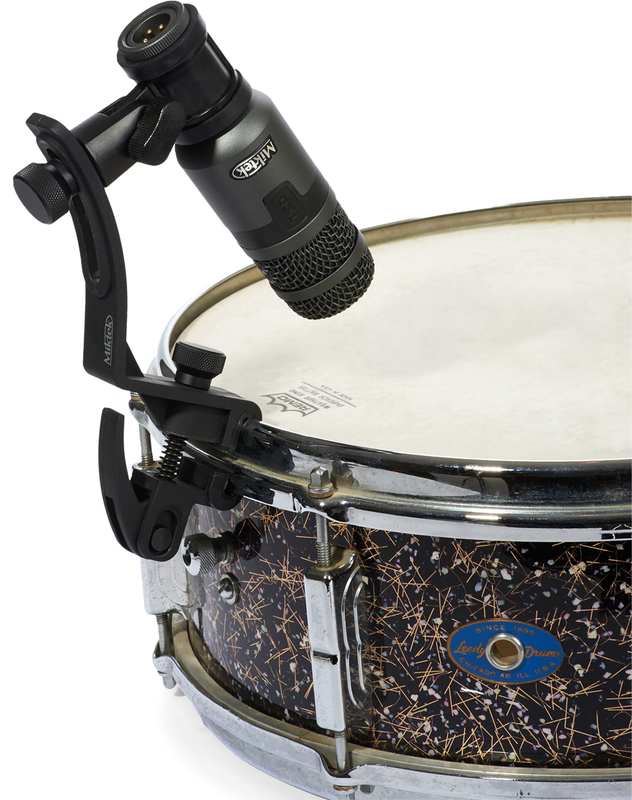 The T100 can be set upon a traditional mic stand, or use the included clip to quickly attached the microphone to your snare or tom rim. The ultra-sleek, dark gray finish with stainless steel and black appointments make the T100 an attractive complement to any drum kit. The Miktek T100 Snare/Tom microphone will reproduce the sound of your kit faithfully, delivering solid backbeat and dramatic fills.